Our double en suite rooms are located on both the first and second floor. Room 5 is the room located on the 2nd floor. These comfortable rooms have en-suite shower/WC, remote control LCD colour TV with freeview and tea and coffee making facilities.A hairdryer is also provided as well as a radio alarm clock.We offer a cooked traditional English breakfast. Other breakfast options are available by request. A twin room containing 2 single beds. The room also has a washbasin and shaver point. The bathroom has ashower enclosure. This cosy room has remote control colour TV with freeview and tea and coffee making facilities.A hairdryer is also provided as well as a radio alarm clock. We offer a cooked traditional English breakfast. Other breakfast options are available by request. A spacious triple en suite room with 1 double and 1 single bed. Located on the first floor at the front of the building. This comfortable room has en-suite shower/WC, remote control LCD colour TV with freeview and tea and coffee making facilities.A hairdryer is also provided as well as a radio alarm clock.We offer a cooked traditional English breakfast. Other breakfast options are available by request. 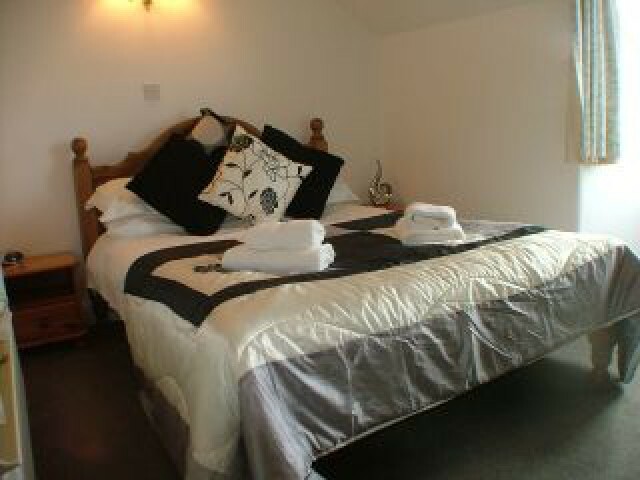 A cosy twin en suite room located on the first floor at the front of the building. This comfortable room has a double and a single bed with en-suite shower/WC, remote control LCD colour TV with freeview and tea and coffee making facilities.A hairdryer is also provided as well as a radio alarm clock.We offer a cooked traditional English breakfast. Other breakfast options are available by request.